Jute is extracted from the bark of the white jute plant (Corchorus capsularis) and is a 100 percent bio-degradable, recyclable and environmentally friendly natural fibre. It is also the second most produced natural fibre in the world – after cotton – and is at least 50 percent cheaper than flax and other similar natural fibres. Professor Prasad Potluri, Director of Research, North West Composites Centre said: "Forkan Sarker, joined my group with a view to work on a PhD problem relevant to his country's economy. "This is an example of judicious combination of low-value, carbon-neutral commodity fibres with an extremely small volume fraction of high-value graphene in order to create a material system that could replace energy-intensive carbon and glass fibres in a number of light-weight structural applications." Despite their environmental credentials, natural fibre composites suffer from poor mechanical and interfacial properties which mean they're not strong enough for some industrial applications. 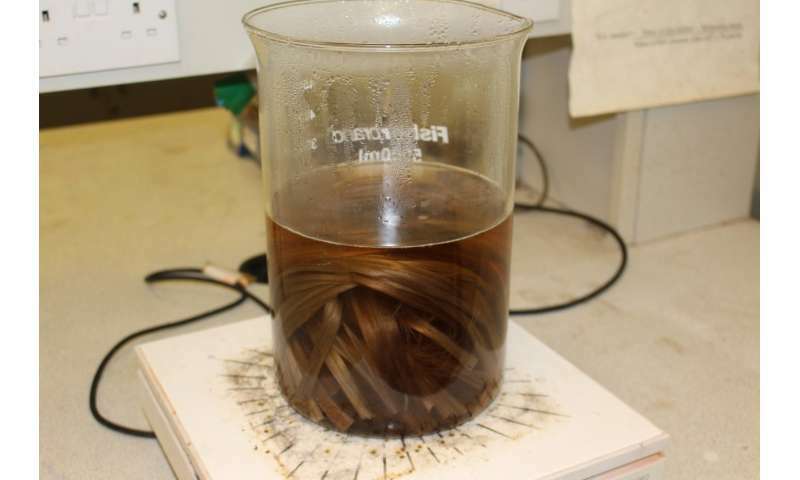 That is why researchers from The University of Manchester's National Graphene Institute (NGI) and Robotics and Textile Composites Group have been working on a collaborative project and coating jute fibres with graphene oxide and graphene flakes to improve its strength. 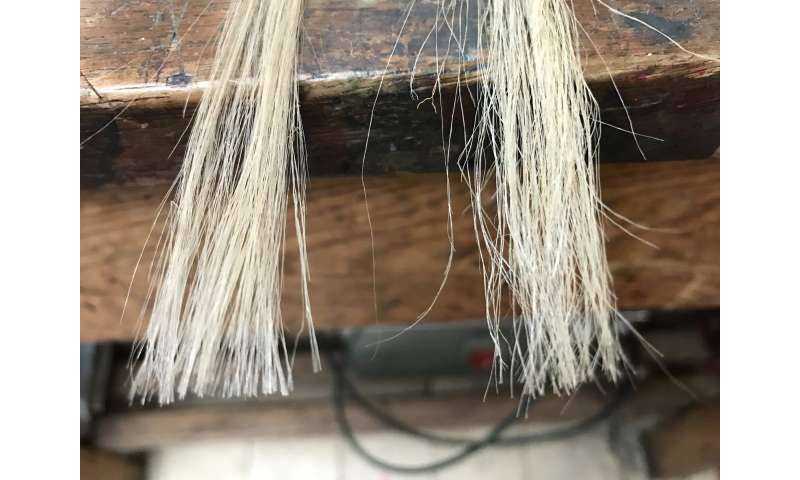 The results have been extremely positive and show that the jute fibres with a graphene coating have enhanced interfacial shear strength of around 200 percent, with flexural strength increasing by nearly 100 percent when compared to the untreated fibres. Dr Nazmul Karim, Knowledge Exchange Fellow (Graphene) at National Graphene Institute, said: "We have been working on graphene and other 2D materials-based natural fibres for several years in Prof Novoselov's group. It is great to translate that experience into developing high performance natural fibres composites". Dr Karim, who also conceived the idea and designed the experiments of incorporating graphene onto jute, added: "Jute, once known as 'the golden fibres of Bangladesh,' lost its glaze in the 1980s after synthetic materials like polythene and plastics were introduced. However, with growing environmental concerns with plastics, the use of natural fibres such as jute is on rise again. "Moreover, the use of jute in automobile interiors by global car giants has been growing rapidly with a current demand of 100,000 tonnes a year. I believe our graphene-based jute fibres could play a very important role in meeting the growing demand of more environmentally friendly products for various industries."